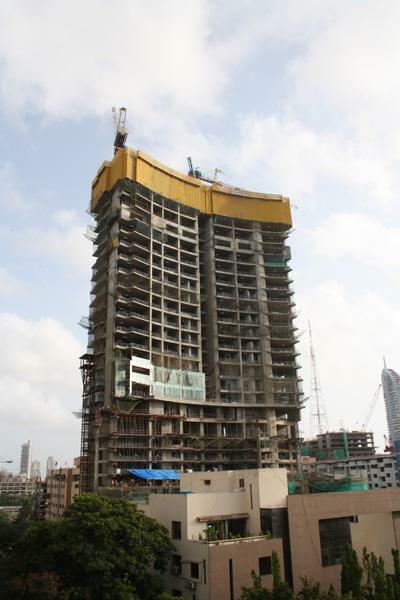 In Mumbai, the premier port city of the Indian subcontinent, a new landmark is taking shape: Ahuja Towers is rising skywards in Prabhadevi, on the densely populated south side of this giant metropolis. Following completion, the 240 m twin tower will house multi-storey car parks on ten podium levels, and luxurious apartments on a further 41 storeys. Doka India supplied the site with the self-climbing Protection screen Xclimb 60, delivering a very substantial boost to workplace safety. For the design of the Ahuja Towers, the Singapore-based architecture firm P & T took its cue from the wind-filled sails of the boats along the Mumbai coastline: this highrise project will enrich the skyline of Mumbai with a visually most appealing facet. The acute lack of space on and around the site has posed a major challenge to the clients and the contractors: Ahuja Towers is situated in the densely populated district of Prabhadevi and is boxed in by residential buildings, industrial estates and a busy main road. 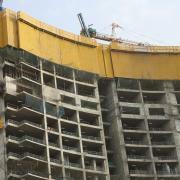 A tight schedule and perfect timing are essential here if construction is to proceed smoothly. The safety of site employees and local residents is also extremely important – especially in view of the high wind-speeds often measured here. 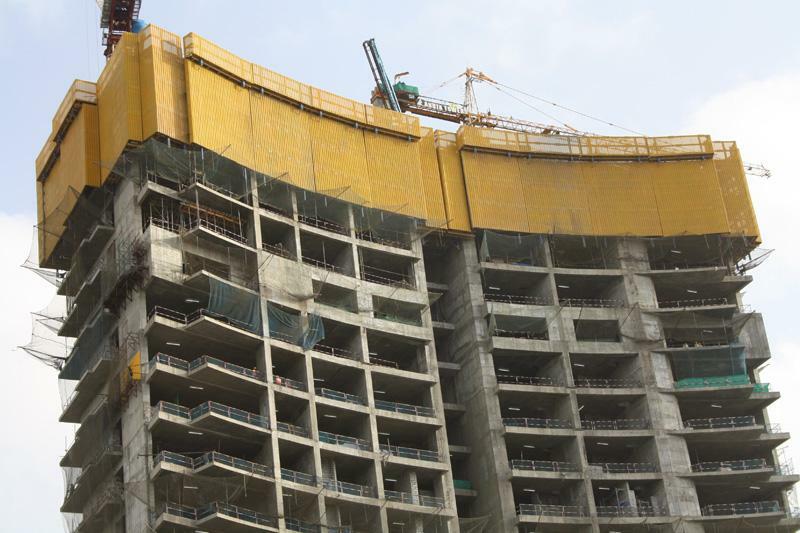 To prevent items of equipment from falling off and to protect the crew, Doka supplied its Protection screen Xclimb 60 for Ahuja Towers. Given the very tight timeframe, a crane-independent solution had to be found. 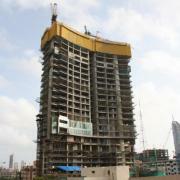 Work has been underway on Ahuja Towers since February 2010 and is scheduled for completion in March 2013. Once completed, the twin tower – by then enveloped in sleek structural glazing – will be a Number 1 Mumbai Address for luxurious living, offering residents exclusive views of the sailing boats off the coast on the Arabian Sea. Thank you for your interest - Ahuja Towers: inspired by ships’ sails. Thank you very much for your interest - Ahuja Towers: inspired by ships’ sails.